Several weeks ago I was asked by a friend to participate in a blog hop and to be honest I had stopped participating in “hops” quite some time ago, but this one was a bit different and geared toward the writer, not necessarily blogging only. So why not? It just might be fun. Jewell from Passion-Purpose-Promise, pictured on the left, introduced me here on her blog. I first met Jewell in 2012 when we were both scheduled to participate in a Leadership Conference. We’ve been doing that conference every year since. She is a Women’s Ministry Director, speaker, singer, writer and has a passion for community outreach. She has been a huge encouragement to me as I write the parts of my story that are often difficult. She has such a love for God and women that you can’t help but want to be around her. I just know that she will bless your heart too through her poetry, devotions and stories about life. You can contact or follow her on her blog here. Now on to the blog hop! My responsibility for the hop is to answer four questions and then ask three writer/bloggers to participate. Sounds easy right? Not necessarily! I have a fairly short list of bloggers that I consistently follow and all of them, but one, were either swamped with writing deadlines or they had already participated in this very blog hop. So I decided to diverge a bit before I get to the actual hop and give an honorable mention to those bloggers so that you might be blessed by them too. First up is Sandy, I got to know her while doing an on-line Bible Study, I was drawn to her heart for God instantly. Her blog Sandra Heska King has been a place to refocus, to still my thoughts and be encouraged to follow Jesus. Someday I hope to meet her face to face. I know your heart will be blessed by your visit to her blog. I have known Gina from Real Life Titus Two since the 8th grade. She introduced me to Jesus and we’ve been friends every since. She has written her first book called Grace Gifts and I couldn’t be prouder of her. She gives real life, honest answers to life that will always point you to the gospel. Just love her! Okay, here are the 4 questions that I am to answer. 1 – What am I writing or working on? My current writing project is writing my memoir, although lately I have been encouraged to write it as a Novel. My working title is A Girl Called Unlovable. I started it over a year ago and it is one of the most difficult writing projects ever. The story is about a girl who believes in her heart and soul that she is unlovable. Her life circumstances have not shown her anything different, so when she finally meets a man who loves her and wants to spend the rest of his life with her she almost ruins it. In fact in the eyes of many she did ruin her chances at true love, but his love was steady and would survive all the pain and sorrow she would cause him to walk through. The story is ultimately about redemption and how one who believes she is unloved and unlovable realizes that she truly is Beloved. I am also working on a short devotional book titled Thirty-one days of Joy where I hope to help the readers to learn how to live in joy regardless of our circumstances. So often we look to our painful circumstances and can’t see how we could possibly have joy, but our focus should never be our pain or sorrow, it should be Christ. For the Fall I am preparing to start a series on my blog where I will be sharing stories of “older” women. The stories will be in their own words. I got the idea as I realized that so often the younger and older generations of women are separated because of lies. The biggest lie of all is that the older generation “has it together” spiritually and the younger women are intimidated by that. So I will begin with sharing the stories of women from my own church and then maybe spreading out to others I know. I think if the younger women could read about the struggles, sorrow and pains that we’ve overcome and that most days we don’t feel we’ve got it together then maybe we could begin to bridge that generation gap. I still need to come up with a title for it if anyone has any ideas! 2 – How does my work differ from others of its genre? Honestly I’ve struggled with this question. How is my writing different? Some days I even wonder if my “voice” is even needed! But then I am reminded that my work is different because I write about what life has taught me. I write from out of my own struggles, sorrows and pains. And while many may have walked a similar journey no one has walked that journey in my shoes. So it will be different. I believe strongly in the power of story. True stories. God stories. Your story. My story. These are the stories that we read and think, if they can overcome that difficult time in their life then I can. These are the stories that remind us we are not alone. They remind us of the power of God, of His grace to work out all things for His glory and our good. 3 – Why do I write what I write? I do not write for either fame, money or even with the hopes of being published but because I am compelled to write. I write on my blog because, as I stated above, I believe in the power of story and I want to help others find joy and healing. I write with the hope to point others to Christ and the gospel. 4 – How does my writing process work? Oh a constant area of frustration is the process of writing. My ultimate goal is to sit every day and write something. Anything. But more often than not the words come only when they want. So I often end up writing on a napkin in some restaurant, or a scrap piece of paper. I will also use my iphone to email myself fragments of thoughts for a possible story to share. Words all too often come in the middle of the night which require me to get up and just write it all out. I use to keep a pad by my bed but it’s hard to write in the dark and to turn a light on disturbs my husband. I use to be able to write a few words as a reminder for me in the morning but it seems age now requires me to write more to remember. Besides, it often during these times at night that I will begin writing and the story just comes, all at once and I can’t stop until it’s finished. Currently I have twenty plus blog post started, waiting to be finished. Often God will lay something on my heart that I must write, but He doesn’t let me finish it until I have lived or walked a bit deeper in it. So for me it’s a process of writing a little here and there until I have finished living that particular part of the story. Then I get the “go ahead” to finish writing. And now on to Heather Randall! I was trying to remember when I first “met” her, but am not exactly sure. I’ve known her in the blog world for some time and met her through CWA where I found her to be full of encouragement and love. She has a blog called Blending In where she writes about real life, book reviews, poetry and so much more. In fact a recent poem she wrote really struck a common cord in my heart called Imagination Bound where she shares this line “The worst case scenario calls to me, baiting me into its trap. I wade in the mire of what ifs and abandon the truth giving map”. It was so true of my own thoughts at the time, yet she reminded me that I did have a “truth map”. As always she encourages and point you to the truth. I encourage you to pay her a visit, I know you will be blessed. Heather Randall is a wife and mother of four who seeks to please God through her creative interests. Heather works from home as the CEO of Christian Women Affiliate. 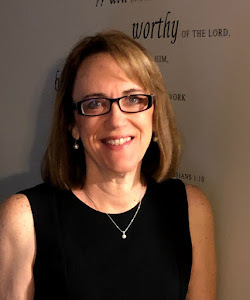 She is also currently working to get her first Christian novel, When Chicks Hatch, back in print while writing the first draft of her second book in this series, The Lemonade Stand. Heather hosts A Musing, a weekly radio show airing on the CWA Radio Network. Her prayer is that God will fuel and use her abilities to grow His kingdom.